It's a wonderful thing when you get to see your hard work and innovative ideas getting people excited. That's what we - and our partners at international Sketch-to-Scale manufacturing giant Flex Ltd. - have felt as we've seen some of the enthusiasm for Flex Augmented Reality Reference Design starting to show up in media coverage. As you may recall, on January 9, 2018 - during the 2018 Consumer Electronics Show in Las Vegas, Flex unveiled the Flex AR Reference Design – powered by the Snapdragon 835 mobile platform from Qualcomm – as a complete product specification, including a head-mounted display (HMD), an external processing unit (EPU) and a gesture-based software platform (co-developed with Atheer) to manage interaction. During the recent Augmented World Expo in Santa Clara, we got to see what people thought of the Flex hardware and the AR interaction module and AR enterprise software we provided for it. First of all, Adario Strange of Next Reality News included the Flex design in his round-up of "8 of the Wildest Augmented Reality Glasses You Haven't Seen Yet". He called it a "slickly designed AR headset" and then provided his perspective on it. 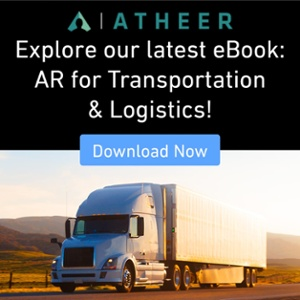 "Using the Flex AR platform, along with Atheer's AiR Enterprise tools, the design is optimized for an AR device that would offer gesture, voice, and head interface control, and would be powered by a Snapdragon 835 mobile processor," he wrote. "This is clearly meant for enterprise users, but it was so well designed that we had to include it in this round up." 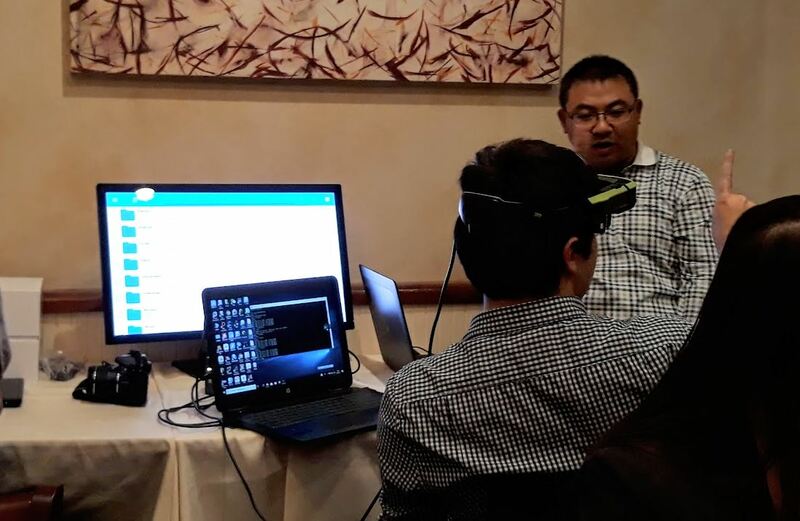 Meanwhile Dan Feinberg, Technology Editor at I-Connect007, attended an event at AWE hosted by Flex - backed up by Atheer, Lumus and Qualcomm - where he was able to try out the reference design hardware running Atheer's AR platform. And Feinberg had his own answer to that question. "After listening to Flex and their key partners in this endeavor — Qualcomm, Atheer, and Lumus — and having a chance to see the product, ask questions, actually use the resultant reference hardware, and mentally compare it to others I have used in the last few months based on usability, comfort, response, and quality, my opinion is yes, Flex’s platform does allow for these things," he said. That is exciting to hear - and we're delighted to see the interest in this work!